When my father was in the Emergency Room the other day, I knew he was missing the Red Sox game so I brought it up on my phone. Through the Red Sox website, we couldn’t watch the game, but we could get details of what was happening. At first, he said, “How do you know all that?” and I would show him the tiny words on the screen. Later in the game. “Okay, next pitch — a swinging strike for Santander,” I said. “Baltimore’s right fielder,” I said. “Oh, okay,” he said, and closed his eyes while he laid back on the bed. I told him I would try, but I was tired and didn’t. A radio announcer I am not. I’m sure he listened to many baseball games on the radio when he was a boy. I know that he and his brother sometimes took the train into the city to watch the Brooklyn Dodgers play. Once, when they were riding the train, they saw Mel Ott, a well-known NY Giants player. He was wearing a suit and trying to keep a low profile. When my uncle went over to ask for his autograph, Mel Ott carefully looked this way and that to make sure nobody else would notice, then signed as surreptitiously as possible. My father laughs whenever he tells the story, imitating the expression on Mel Ott’s face and the way he looked around him. 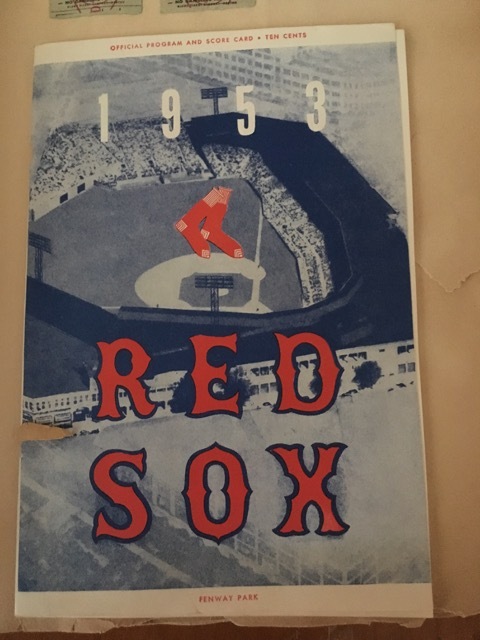 When the Dodgers moved to the west coast, my father had to choose another team and opted for the Red Sox. His two baseball heroes represent those two teams — Jackie Robinson from the Brooklyn Dodgers and Ted Williams from the Red Sox. 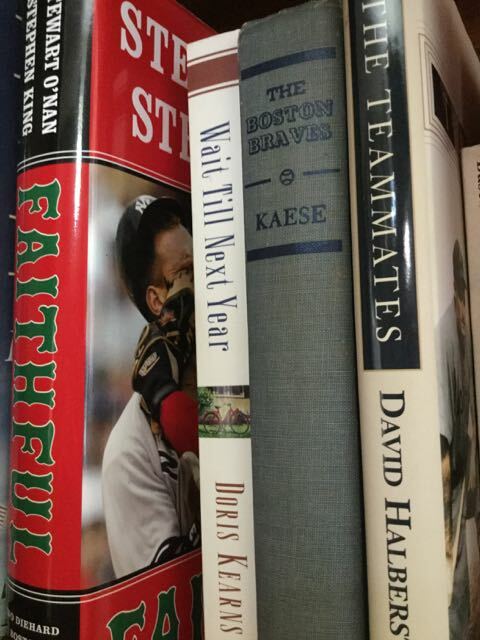 The Red Sox are just the seventh team in the modern era (since 1900) to win at least 16 of their first 18 games. They are the first to do it since the 1987 Brewers. Of the four previous teams, two won the World Series — the 1984 Tigers and the 1955 Brooklyn Dodgers. Avid. Rabid. You get the picture. 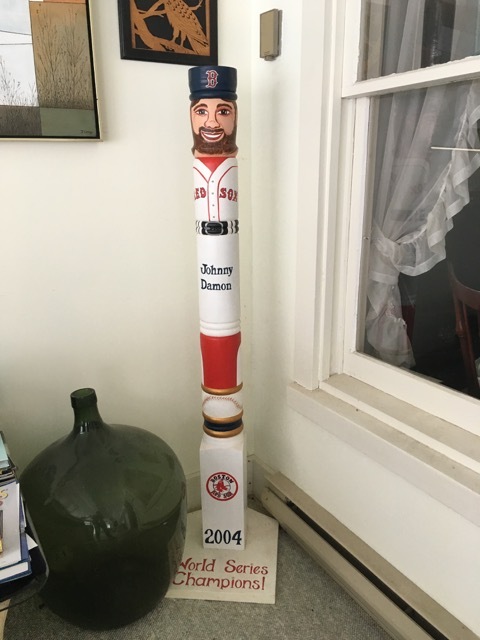 He and my mother used to make pilgrimages to Fenway in the summer. I remember going with them as a child. 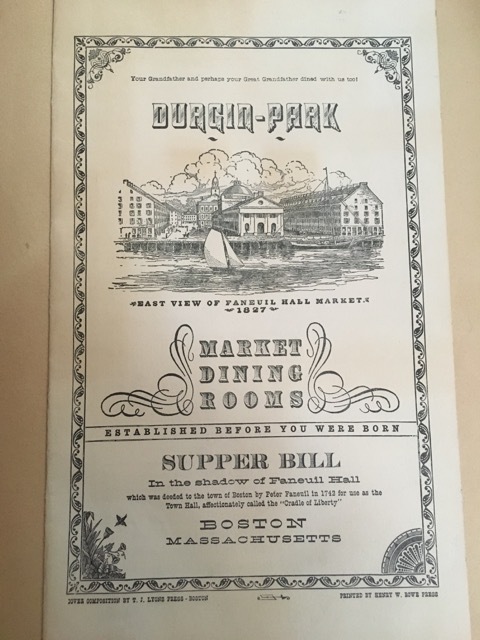 I don’t remember the baseball game, but I remember waiting afterwards in a long line to eat at a restaurant call Durgin Park. The line went up a flight of steep narrow stairs. At the top I leaned in to see how much longer we would have to wait and a waitress picked me up to move me out of the way. 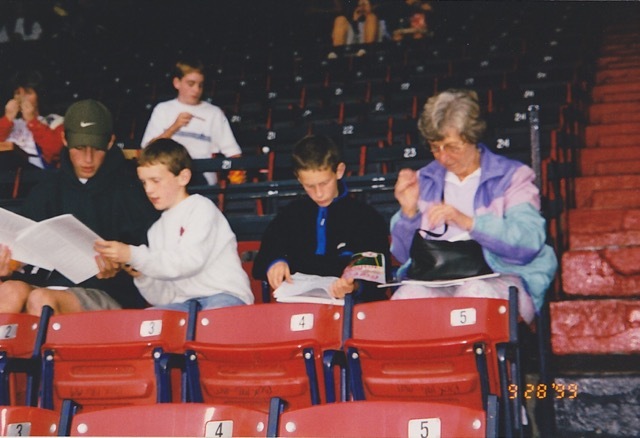 One summer my parents took my oldest sons with them to Fenway. The only thing the boys ever told me about that game is how the dugouts emptied for some brawls. Not to mention bobbleheads, t-shirts, sweatshirts, caps, pins, you name it. Somewhere upstairs is the 1967 “Red Sox Impossible Dream” vinyl album. Somewhere in my treasures is a Carl Yastrzemski pin from that same year. The photo challenge word of the week is “prolific.” This is more an abundance. And abundance that comes from decades of cheering on a team through thick and thin. He still fist-pumps when they score a run or make a good play. Even in the emergency room with an unenthusiastic announcer telling him about it. 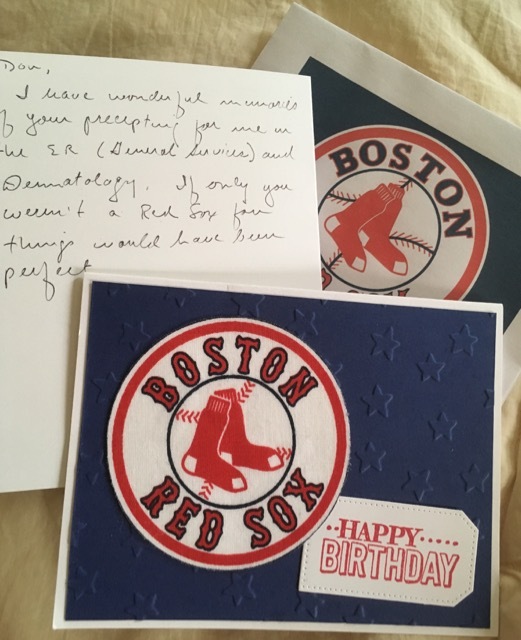 I hope this exciting Red Sox season gives your father some solace while dealing with medical emergencies. 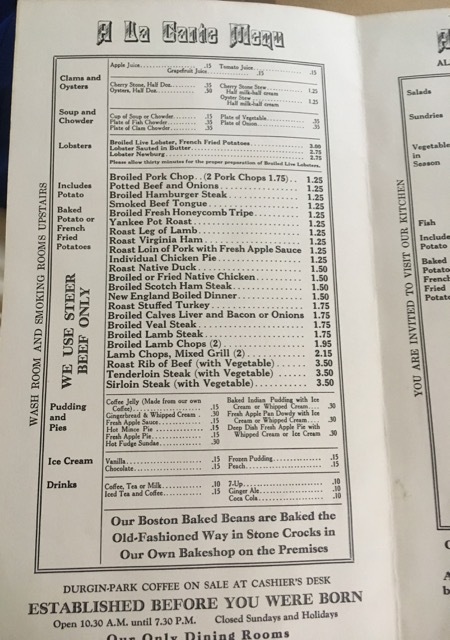 There was also another place (I thought it was near Fenway) where Mom and Dad might go after a game. Ask him if he remembers … was it “Jack & Marion’s”? 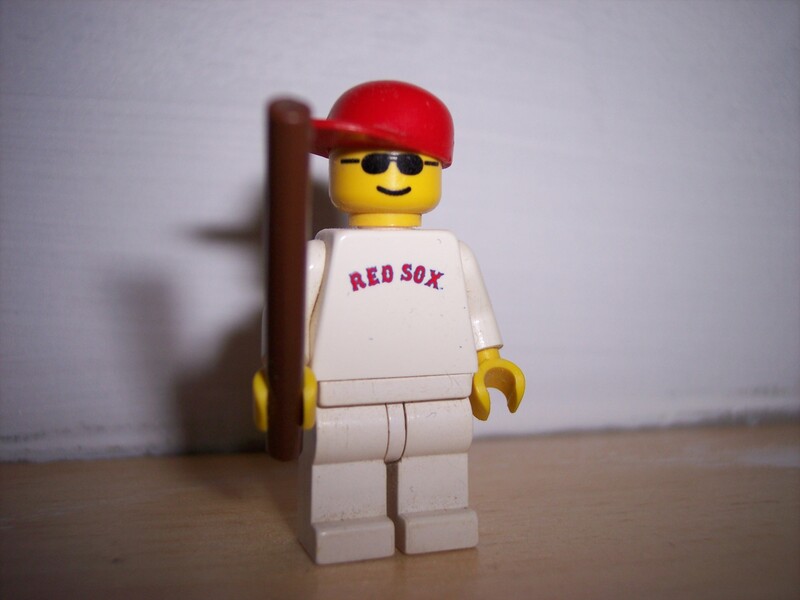 Go Sox (with enthusiasm)! He must have been pleased when they broke the streak and won the Series. I can relate. 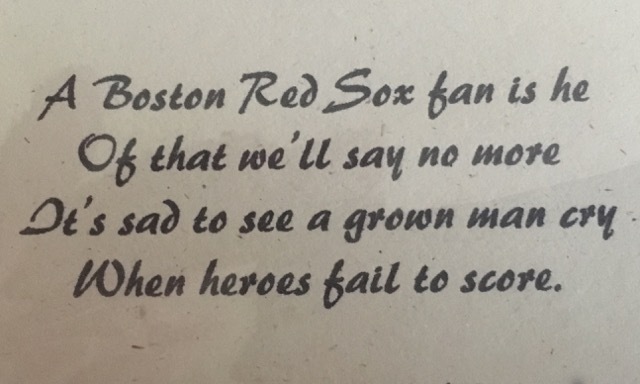 My husband has been a Sox fan for 60 years and our son and granddaughter are equally rabid (not avid). 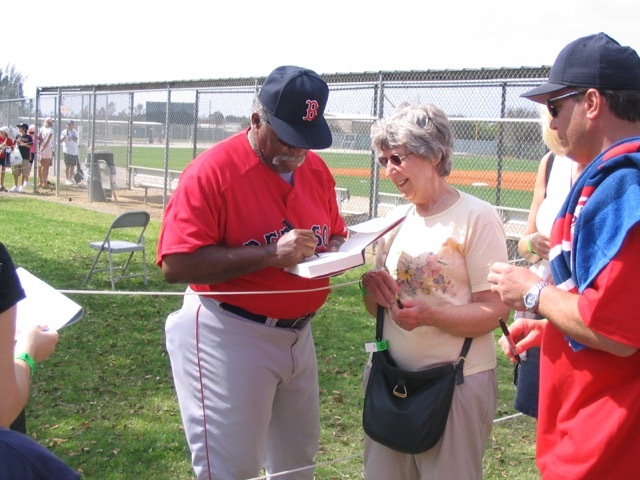 His sister and he used to get into the games free after the 7th inning when they went to high school in Boston and his sister was hit by a foul ball which was then signed by all of the players for her. Ted Williams is their idol. And BTW our kids live in NYC where they wear their Sox gear without fear in yankee country. We have tix for the Yankee/Sox game in June. Woo Hoo. Please give your dad our best wishes for his recovery. The Sox are off to a GREAT start!! Pingback: Prolific: Johan Cruyff Arena – What's (in) the picture?